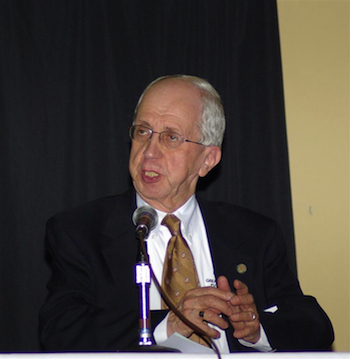 Thomas R. Patete, longtime Executive Director of Great Commission Publications (GCP), went to be with the Lord on December 14, 2012. 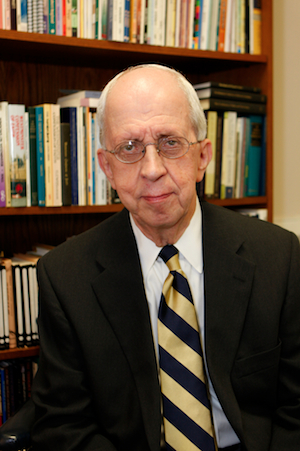 An ordained minister in the PCA, Tom served in his position at GCP for 34 years. He was well known throughout the OPC and dearly loved by many who had the privilege of serving with him. Please pray for his widow Jane and for their daughter and son, Amy (Gresham) and Rob and their spouses and children. On Monday, December 17, at 2:00 p.m., the family will have a private graveside service. That evening, from 6:00 to 8:30 p.m., there will be a gathering/visitation open to everyone at Old Peachtree Presbyterian Church in Duluth, Georgia. On Tuesday, December 18, at 11:00 a.m., there will be a memorial/celebration service at Old Peachtree Presbyterian Church in Duluth, Georgia. Rev. Danny Olinger, general secretary of the OPC Committee on Christian Education, will speak at that service. The family has requested that, in lieu of flowers, gifts be made in Tom’s memory to the institutions that he served: Great Commission Publications, the Orthodox Presbyterian Church, or the Presbyterian Church in America. For further information see the notice in By Faith.